Stress is bad for morale, employee wellbeing and productivity. In order to tackle it, we must first understand where, how and why it arises. Our newly published 2018 UK Workplace Stress Report studied 3,000 employees from across the country to shed light on the demographics most affected, including regions, industries and age groups. Some 59% of those surveyed identified work as the most common cause of stress. This presents a pretty serious problem for HR teams and companies in a time when mental health and wellbeing are in the spotlight. Whether it’s long working hours (21%) or sleep loss (65%), the list of negative consequences caused by stress is seemingly endless. A miserable workforce is very rarely a productive one, so what steps can be taken to address this problem? Our research discovered that stress is a highly complex issue, and the levels to which people suffer vary hugely depending on geography, gender and age. So what else can we learn from investigating the state of the UK’s workplace stress levels, and how can companies prevent it? Workers in Cardiff were revealed as the most stressed (70%). This is closely followed by Wolverhampton (64%) and the UK's business capital London (59%). In comparison, only one Northern City (Liverpool) and one Scottish City (Edinburgh) made our top 10 list. Saurav Chopra, CEO and Co-founder of Perkbox, sheds some insight into why Cardiff may have been named the most stressed out city in the UK. “I'm not going to lie, I found this quite surprising myself when I first saw the results. After some research I realised however, that 85% of Cardiff's recent job growth has arisen from an increase in net commuting into the city from neighbouring communities. This might explain the significantly high levels of stress in the city. "Long commutes affect employees’ productivity and have a negative impact on mental wellbeing. The ‘time scarcity’ they create can bring about an unhealthy behaviour across employees as they try juggling multiple commitments at once. "Allowing employees the flexibility to avoid rush-hour, or be able to fit their routine around their other needs can help reduce this stress and promote a healthier lifestyle". Men are far more likely to report experiencing work-related stress than women. Half of male respondents cited stress as a problem, compared with just over a third (38%) of women. The gender divide is more apparent in some areas of work than others. For example, 17% more men than women complained that long working hours caused them grief in their jobs. Meanwhile, women are 12% more likely than men to experience stress relating to the performances of people they work with. A modern business simply cannot allow gender to dictate workforce wellness. Is it time for companies to rethink the way they manage the well-being of male staff? With only 8% of companies offering counselling and just 6% offering stress management, it’s clear this problem isn’t going away anytime soon. The research also revealed that as employees age, their confidence and performance at work becomes less of a stress factor. Over a quarter of (26%) of those aged between 18-24 – said their own individual work was a common cause of stress. This is in stark contrast to just 9% of 55-64-year-olds saying the same. Of course, with age comes experience and with experience comes confidence. But is it healthy for a new generation of talented employees to feel such pressure so early in their careers? At a time when companies should be empowering younger workers to bring in fresh ideas, stress will prove a major barrier to creativity and confidence. Chieu Cao, CMO & Co-Founder at Perkbox, said: “It’s interesting to see which demographics suffer with work stress the most. Those aged 25 to 34 are often not only in a particularly pressured time in their careers as they fight their way up the ladder – perhaps even taking on more work or responsibility in order to prove themselves – but quite often they’ll also be saving to buy a house, organising weddings or even starting a family". Building a positive working environment for employees new to the world of work should be a top priority. So, if you’re a 25-34-year-old male working in the finance industry in Cardiff, according to our research you’re likely to be one of the most stressed people in the UK. While this profile helps determine the worst affecting factors, it’s clear businesses need to do much more to understand the stress problems facing workers. You cannot devise an incentive scheme and improve morale unless your initiatives are targeted at specific issues. You also cannot command team loyalty if your staff think you don’t understand the causes of the stress they face. So, if building an engaged, optimistic and motivated workforce is the key to success, the sooner businesses discover the detail behind workplace stress, the better. 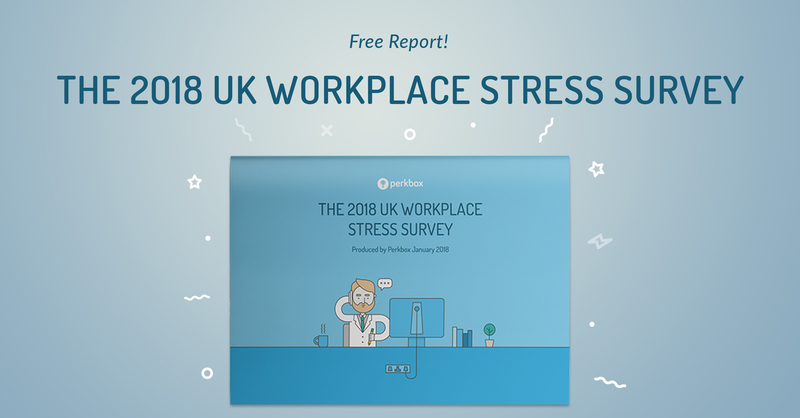 To find out more, download the 2018 UK Workplace Stress Report here.